In 1998, opportunity called for the Brunier brothers and Kermit Lynch, and they became the owners of this superb locale. Les Pallieres ‘style – imposed by the landscape, limestone mixed with sandy-clay soil in which the roots of the very old vines tap their resources. This is a consummate Gigondas made for ageing. ,,Bright red. Smoky red berries, flowers and minerals on the nose. 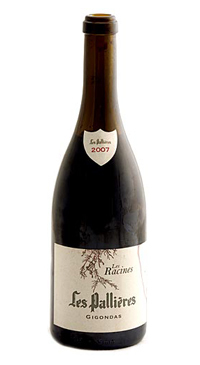 A sweet, energetic midweight that offers redcurrant and cherry flavors and a tangy note of blood orange. A bit ungiving on the finish, which repeats the cherry note and lingers with very good persistence.